Discover one hundred fun activities and tips to help children become enthusiastic readers, in this brand-new guide from I Can Read! These tips cover the essentials of learning to read—from making the connection between letters and sounds to understanding key plot points. 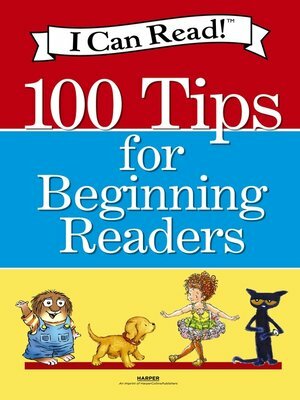 Specifically designed to engage children and reinforce the Common Core Standards for Reading, I Can Read: 100 Tips for Beginning Readers shows how to make reading a positive, joyful experience for parents, teachers, and children. Widely recognized as the premier line of beginning readers, I Can Read! books are organized into color-coded levels. With hundreds of titles featuring award-winning authors and illustrators and beloved character friends such as Pete the Cat, Fancy Nancy, Amelia Bedelia, Biscuit, Splat the Cat, the Berenstain Bears, Little Critter, Superman, Frog and Toad, and more, you're sure to find books at every stage and level to engage and excite your child.